is beautiful 24in white snow covered tree can be used all year around. It is so very elegant. When you recieve the tree, it is nicely package in it’s box. Which the box I will be saving, so I can put the tree away when I move. But it is securley wraped inside the box. When I took it out of the box I spreaded the branches like I would on my artifical tree. On the bottom of the base you will find the cover to where the batteries go, this tree takes 3 AA batteries which are not included. When I received this tree I knew it would be a perfect part of my village, that we do every year. 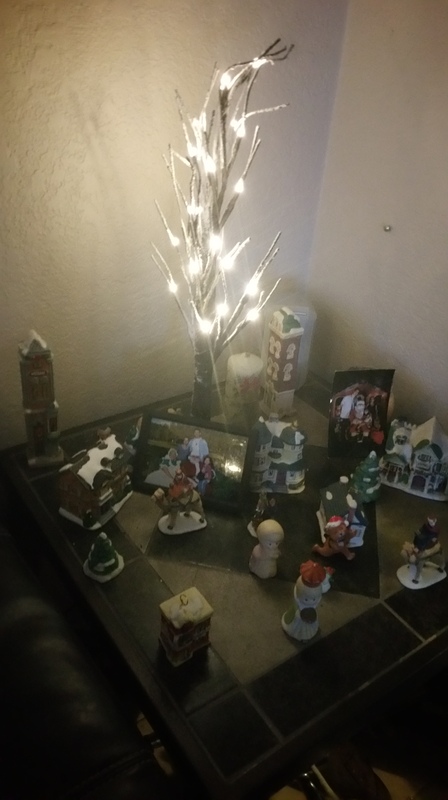 This villiage is very important as it is from my husbands grandmother who passed away a few years ago and was passed down to us, which now we added the tree which would be passed down to one of our children when they get married. The branches are fragile so be gentle when spreading them as they do feel like real tree branches. I love this perfect life snow covered tree as it really does look and sorta feel like a living tree.